Greetings Friends! This week we would like to recognize and congratulate Vauquios and his owner. 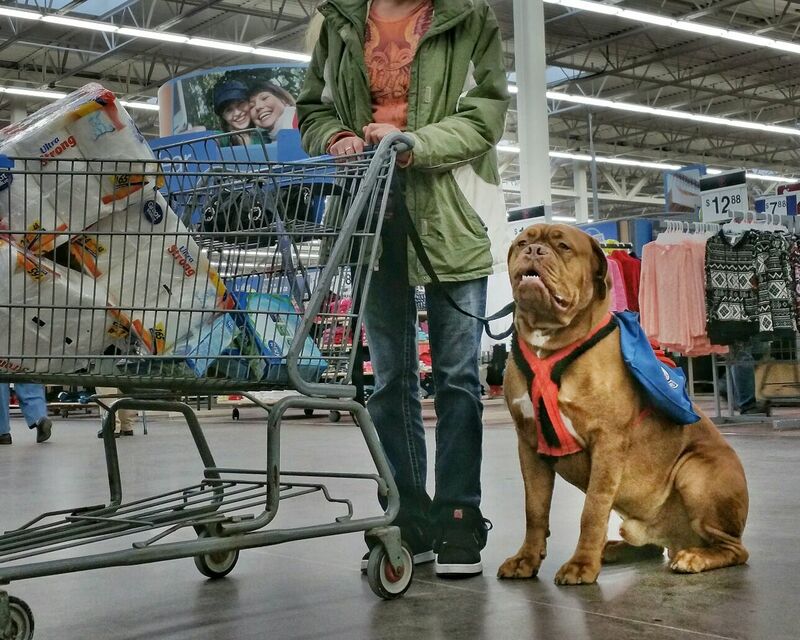 Vauquios, at the tender age of 13 months, is a full-blown physical therapy assistant and also assists with activities of daily living as a Service Dog for his owner. 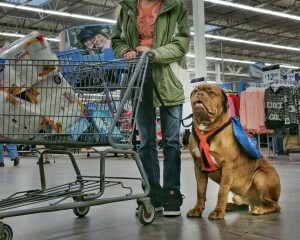 Here, helping with shopping and overcoming obstacles and barriers that many of us take for granted. We have had several Dogues, deemed with the “right stuff,” earn Therapy Dog and Service Dog status. 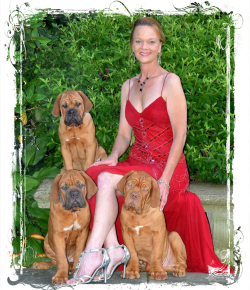 This is typically an area of work commanded by Golden Retrievers and German Shepards; rarely a Dogue de Bordeaux serving and working in this capacity. There have only been a handful of Dogues achieve this important role. We consider this groundbreaking for the breed and are very proud of Vauquois and his owner!